St. Jago High School is known far and wide for its rich history of producing some of the best sprinters in the world, and Nickel Ashmeade is one of the latest top talents to emerge from the Spanish Town powerhouse. 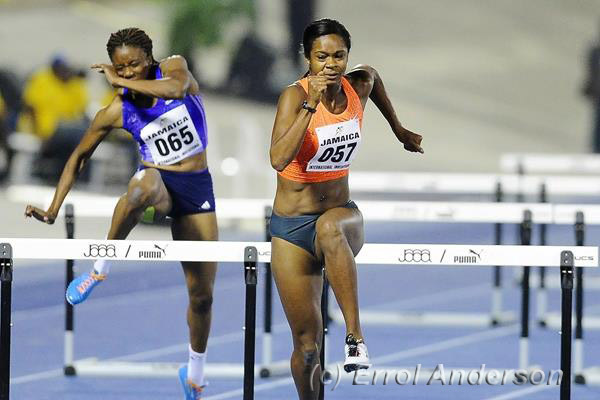 gold and silver at the Central American and Carribean Under-17 Championships in the 100m and 200m, respectively. A year later, Nickel won the 200m and finished second in the 100m at the highly competitive Jamaican Junior National Championships, which qualified him for the IAAF World Youth Championships in Ostrava, Czech Republic. In Ostrava, Nickel won the silver medal in the 100m, followed by bronze medals in the 200m and in the Medley Relay. At the IAAF World Junior Championships in 2008, Nickel won silver medals in the 200m and as a member of Jamaica’s 4x100m realy team. Showing his versatility as a sprinter, Nickel also ran the second leg on Jamaica’s 4x400m relay team, as well. Nickel has a had a breakout year in his first full season as a professional. Training with former World Champion Tyson Gay has certainly provided dividends, most obviously seen in Nickel’s first victory over 200m in a world-leading time at the prestigious Jamaican International Invitational. Nickel followed up this victory with the first sub-10 100m run of his career, and a runner-up finish at the Jamaican Championships in the 200m.